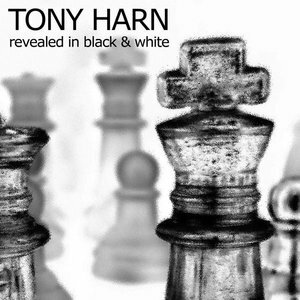 Tony Harn’s latest is another easy recommendation for Exposé readers of all stripes. After flirting with a group format on his last outing, the English guitarist’s fourth album is a return to the approach of his first two excellent albums, From the Inside and Lifebox. Many of these songs exhibit his penchant for hypnotic arrangements focused on his delicate and agile guitar work. He never pushes or forces ideas, but instead lays down patterns and melodic lines that weave together in a way that’s utterly intoxicating. The most immediate reference points are Andy Summers and Pat Metheny with traces of John Scofield and Robert Fripp, though you never sense that Harn is aping other guitarists. Much of this has to do with the do-it-yourself approach he employs that builds compositions from the ground up based on multi-tracked guitars plus occasional percussion (digital) and bass. The album demonstrates how to build fully realized songs as a solo musician, and though Harn makes liberal use of loops and programming these are always serving a higher compositional purpose. This is best seen in the epic-length title track, where Harn builds layers of acoustic guitars that investigate myriad intersecting lines and melodic structures. While he flirts with modern rhythmic techniques and bits of experimentation, the overriding vibe of the album is soothing and refreshing, though things take a dirtier, Porcupine Tree sounding turn on “Hurdles” and Harn’s Police influences show in “Extravagance in Blue,” that starts off reggae-flavored but then shifts gears into an 80s pop groove. Delicious!